Ava Claire Romantica: 2 more days until Before You Go...and Giveaway Details! 2 more days until Before You Go...and Giveaway Details! Because I can't have a release without a soundtrack, here's today's promo image, along with the Youtube videos. These are songs that I heard while I was writing that captured the mood and feel of Megan and Cade's story perfectly! And now on to the blitz! 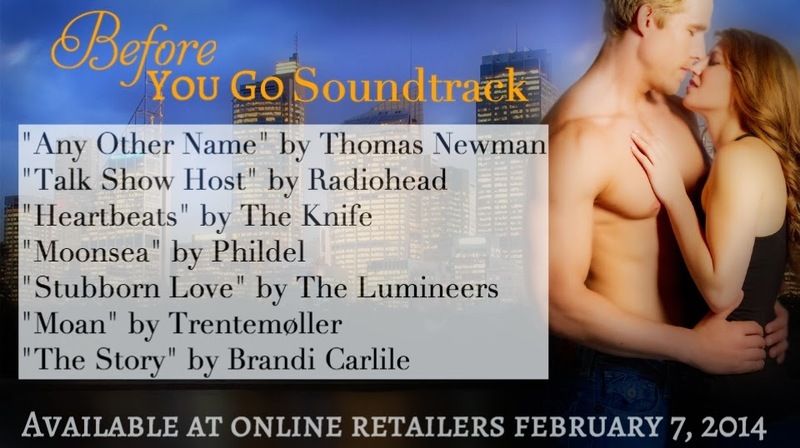 On Friday, Tasty Book Tours is hosting a blitz for Before You Go. See this blog post for a list of participating blogs, so you can participate in the Rafflecopter giveaway. I'll repost the participating blogs on Friday so you can enter to win!